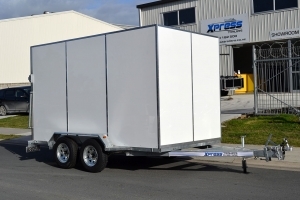 Talk to the people who design and build the trailers with Larger and Thicker Steel Sizes so you get more Value and Quality for your Money. 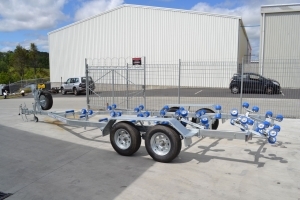 We have a large range of Single Axle and Tandem Axle Boat Trailers to suit most makes and models of boats whether you want keel rollers, wobble rollers, or bunks. We have extensive experience within the boating industry so can recommend the trailer that’s right for your boat. 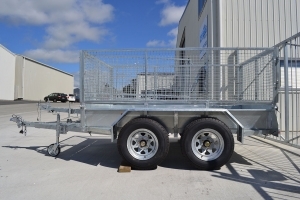 We have a range of Heavy Duty single axle and tandem axle Box and ATV Trailers from 5’x4′ to 12’x 6’6″ with optional stock cages, ladder racks, ramps and can customise to your requirements. 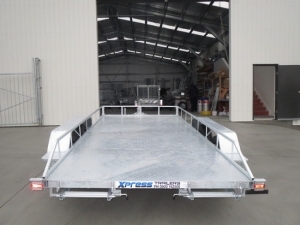 We produce trailers of all above kind with an excellent quality and very solid construction at the best possible price. We carry a good supply of spare parts and trailers parts for all kind of trailers at affordable prices. Very friendly team and competent advice! Thank you! It doesn’t matter if you want a boat trailer, enclosed trailer or digger trailer: Our trusted finance partner offers competitive rates and flexible terms.